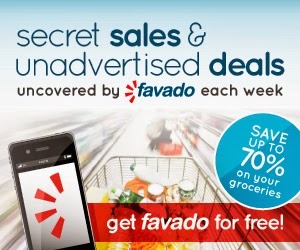 Favado is a mobile savings app that helps shoppers save time and money by discovering the best deals in more than 65,000 grocery and drugstores nationwide. The Favado app uses real-time couponing data to provide access to exclusive matching deals (coupons plus in-store promotions) for ultimate savings. Other features include planning tools for weekly shopping trips and insider access to unlisted deals.